BItcoins, if you haven’t heard, are increasingly coming into their own. Created by Satoshi Nakamoto in 2009, the cryptocurrency is slowly but surely winning over converts and adherents, thanks largely to its safety features and viability in this brave new tech world. Even entrepreneurs are smitten by the allure of the cryptocurrency. ‘Crypto’ is Greek for ‘hidden’. And simply put, Bitcoins are a hidden currency in a manner of speaking. They don’t exist physically. They don’t exist in your computer. They don’t even exist in the cloud computing circles as well. If terms like ‘cryptocurrency’ and the likes leave you non-plussed, then you have come to the right place. 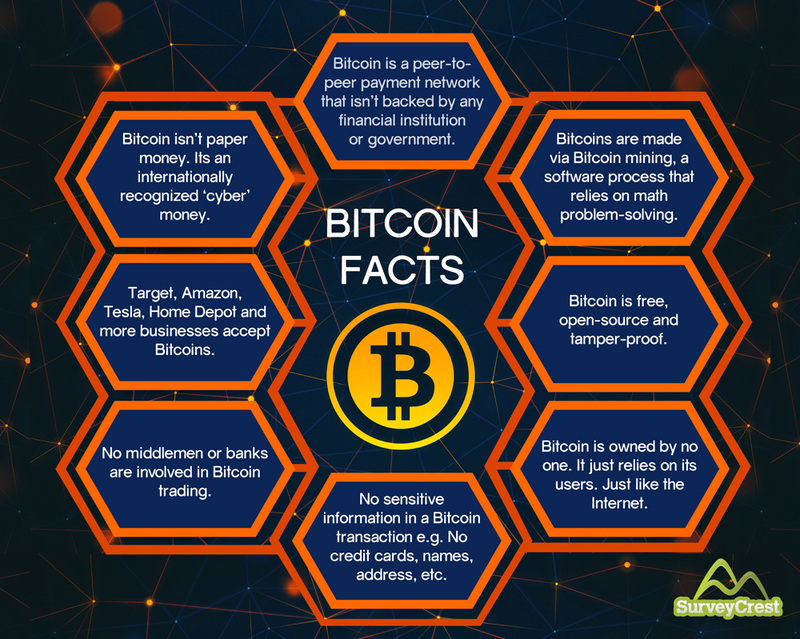 Here are some facts that can explain what’s the big deal about Bitcoins. If it doesn’t really exist, does that make Bitcoin akin to a digital version of Monopoly money? Not really. There are a large number of businesses which are seeing the value of doing business in Bitcoins. Just ask Jeff Bezos or Elon Musk, two people who are the technological visionaries of this age. Their firms, (Amazon and Tesla, respectively) accept Bitcoins as payments. Bitcoin does have a very active and vocal development community supporting it. It’s based on open-source technology meaning that any signs of tampering with Bitcoin transactions can be immediately discovered. It also values anonymity as Bitcoins don’t leave a paper trail or information in their path. To date, no one has been able to break through the complex encryption techniques that exist in Bitcoins, making it one of the most secure financial instruments in the world. That being said, there’s still no way of knowing if Bitcoin is a passing fad or something that’s here to stay for good. It was primarily conceived as a means to rectify flaws that exist in conventional banking practices and government regulations. The Great Recession soured the public’s perception in financial institutions and their self-serving practices. Bitcoin comes as an answer to that. With every passing day, more and more companies are announcing their intent to support Bitcoins. Perhaps this sign points to the future viability and reliability of Bitcoins. It will be interesting to see how Bitcoin continues to grow in the coming years. « [INFOGRAPHIC] Easter: America’s Most Popular Holiday!